FRANKFURT -- Opel may transfer some production of its key Astra compact car to Poland from one of its German plants, a newspaper report said. The automaker plans to move annual production of 10,000 Astra cars from its factory in Ruesselsheim, near Frankfurt, to its plant in Gliwice, southern Poland, the Frankfurter Allgemeine Zeitung reported. The paper cited sources close to the works council and labor unions. Ruesselsheim builds 30,000 Astra cars annually, along with the Insignia mid-sized model, the paper said on Friday. Opel is under pressure from parent General Motors Co. to cut costs and reduce excess capacity as its vehicle sales fall in Europe. The U.S. automaker's European business, which is chiefly the Opel and Vauxhall brands, lost $747 million last year before interest and tax. In the first quarter, Opel/Vauxhall car sales dropped 15.8 percent to 227,590 in the EU and EFTA countries, according industry body ACEA. Total industry sales fell 6.6 percent. Production at Ruesselsheim has been cut to four days a week because of a fall in demand. Ruesselsheim is one of four GM plants in Europe that build the Astra, along with Gliwice, Bochum in Germany and Ellesmere Port in England. 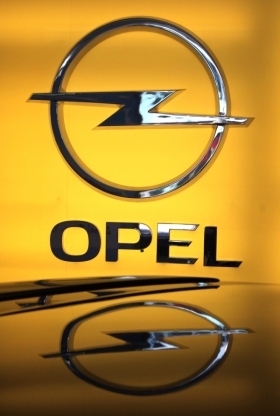 Recent media reports have suggested that Opel may seek to cut costs by expanding production capacity in low-cost countries while closing Bochum and Ellesmere Port. An Opel spokesman declined to comment on the report. The Astra was Opel's second best-selling model last year, with European sales of 327,458, up 2.7 percent from 2010, according to market researchers JATO Dynamics. The Corsa subcompact was No. 1, with sales of 327,717, down 1.5 percent.